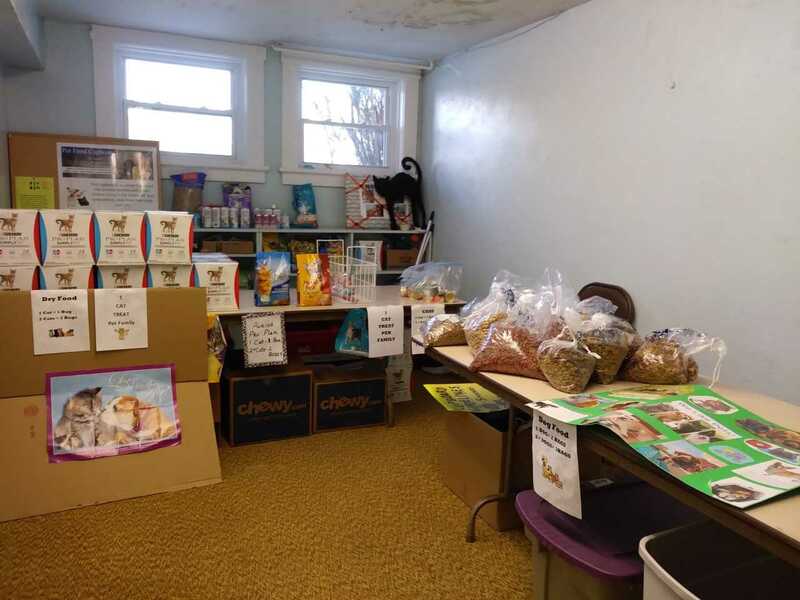 St. Aidan’s Pet Food Cupboard, in Alden, is an outreach program that helps anyone struggling to feed their dogs & cats. Right now, they need help in order to help others. The pet pantry serves between 50 and 60 families each month! The companionship and unconditional love which dogs & cats provide can help reduce anxiety, lower blood pressure, and help people adjust to changes and losses in their lives. They are in need of dog and cat food as well as cat litter. St. Aidan’s Church is located at 13021 W Main St. in Alden. Donations can be dropped off Monday & Friday 10 to 12, as well as Monday 1-3, Friday 6:30 to 8:30. Also the day of the distribution, which is the second Saturday of the month. The next one is December 8th.